These are the frequently asked questions (FAQs) about the Canada Karaoke Schedule on RockGod.ca. If you have any questions that aren't answered here, please email Paul the Rock God and he will answer them for you. Help us out by adding any karaoke shows that you know about! It is easy to add a karaoke show to the World Karaoke Schedule. Anybody (Karaoke hosts, karaoke venues, karaoke singers, etc.) can add a karaoke show that they know about to the Canada Karaoke Schedule. You just need to enter the country, city, some venue information, some host information, and some information about the show (i.e. gig)! 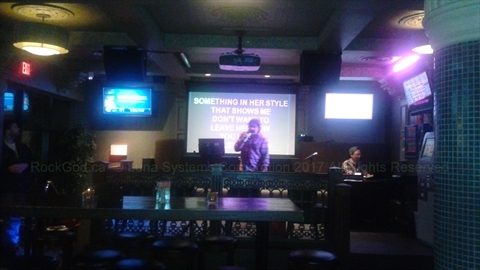 Click on the button below to add a karaoke show to the World Karaoke Schedule. Paul the Rock God will review your entry and then it will appear soon on the Canada Karaoke Schedule. Where did the World Karaoke Schedule Go? Can I add a show for a new city if my city does not show in the Canada Karaoke Schedule? Yes, when you add a karaoke show, it allows you to specify a new city! Why doesn't the karaoke show that I added show up in the listings? It probably hasn't been approved yet. Paul the Rock God usually approve shows once a day, but occasionally takes a day off! He needs to approve shows to ensure that there are no duplicates, no bad words, and no spam! 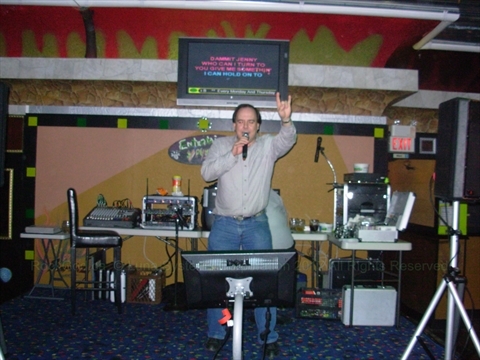 There is a large benefit to karaoke hosts and karaoke venues (bars, pubs, restaurants, etc.) to listing their karaoke shows on the Canada Karaoke Schedule. More people will find out about your karaoke shows. This in turn will possibly lead to more people going to your karaoke show(s). More people going to your karaoke show brings in more money for the venue...and hopefully the host! 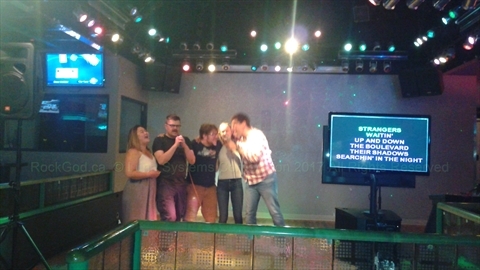 You can add comments about karaoke in a city, a particular karaoke venue listing and/or a particular karaoke host listing. To do this, just navigate to the City, Host or Venue page in the Canada Karaoke Schedule, then click on the Add Comment button. To add a photo to a host or venue listing, you need to email the photo(s) to Paul The Rock God and he will add it. If we are missing or wrong information about a karaoke show or the show has been cancelled or the venue has closed down, please email Paul The Rock God with what needs to be updated and he will gladly update the listing!